O merciful God, You inspired Frederic Ozanam and his companions to form a Youth Conference whose goal, in the charism of St. Vincent de Paul, was to see and serve Christ in the person of the Poor. We are grateful for your call to follow their footsteps. Renew Your Spirit within us and of all the young people of the Society of Saint Vincent de Paul. Teach us to find systemic ways to alleviate poverty, and to feel hopeful as Vincentians when we visit the Poors personally in their homes, walk with them and call them by their name. 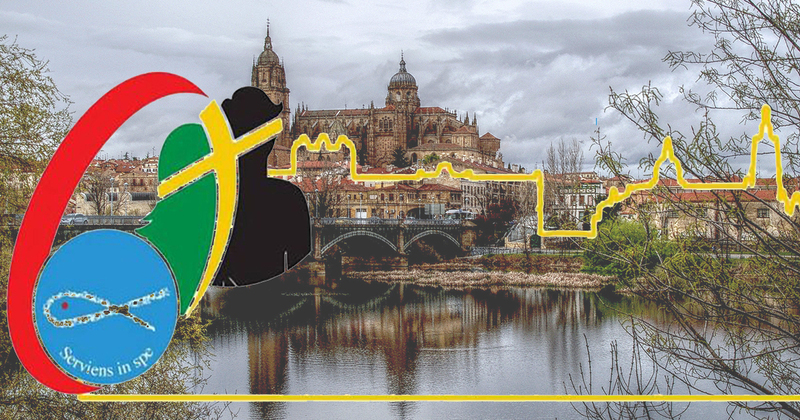 Bless this Second International Meeting of the SSVP Vincentian Youth, so that it may be a great opportunity for the Vincentian youth, and where the meetings to pray, discuss and make decisions are always according to Your will. We acknowledge you, Lord, as the donor of all goods. With gratitude and joy for our Vincentian vocation, we renew our promise as members of the SSVP, with the commitment to invite other young people, in all countries around the world, to serve together in hope. Give us, O Lord, strength and courage to live this mission. May the Immaculate Virgin, our patron, intercede, in a merciful way, for us young people of the SSVP. All this We ask you, merciful God, in the name of Jesus Christ through the intercession of Blessed Frederic Ozanam and Blessed Pier Giorgio Frassati.